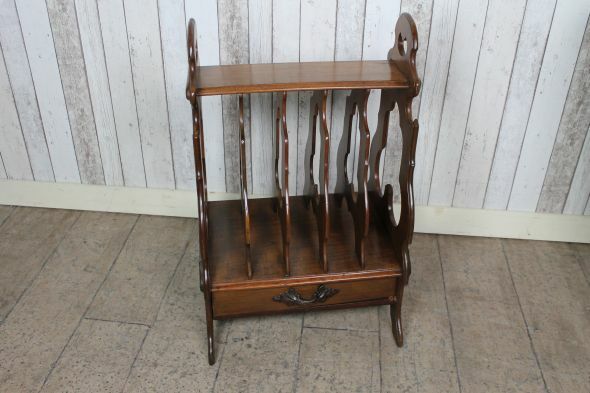 A late Victorian mahogany magazine and paper stand. We believe that this would have been used in a large gentleman’s study or club, and is in lovely condition for its age. With its single drawer, this is truly a lovely stylish piece for any period property. We can send this rack in the post for a cost of £15.00, but for peace of mind, we would recommend sending the item via our courier for £45.00.